The Magpul PMAG D-50 is a rugged, lightweight 50-round polymer drum magazine designed for 7.62x51 NATO/.308 Winchester ammunition for SR25/M110 pattern rifles. It’s capable of using longer-than-SAAMI-spec match ammunition, up to 2.830” OAL, such as M118LR. 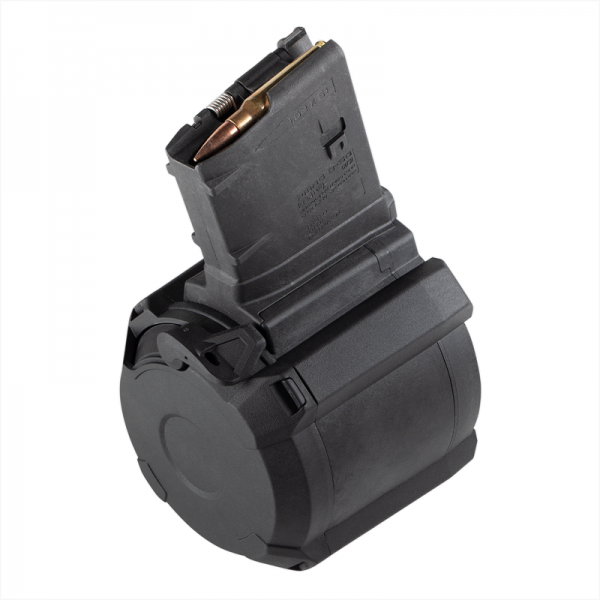 Engineered to the same exacting standards as the famous Magpul PMAG and PMAG D-60® drum magazines, the D-50 continues the PMAG tradition of high-capacity performance and dependability. *Optimized for use only with 7.62x51 NATO/.308 Winchester cartridges. Use with other calibers such as .260 Remington or 6.5 Creedmoor is not recommended. At approximately 1.7 lbs empty, and 4.5 lbs loaded, the Magpul D-50 is one of the lightest 50-round 7.62x51/.308 drums available, and it's priced well below the current competition. The D-50’s unique drum configuration gives it roughly the same overall height profile as a standard 25-round PMAG, making storage easy and shooting from various positions--including prone--no different than with smaller capacity magazines. Large/High Capacity Magazine Restrictions: Large/high capacity magazines are not legal in all areas of the U.S. Please be aware of your local laws prior to ordering. 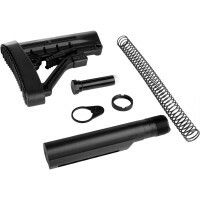 Orders with prohibited items shipping to areas that have large/high capacity magazines bans will be canceled and a 15% restocking fee will be deducted from refunded payments.